Artdepartment Berlin GmbH develops and implements container architecture of various kinds under the brand name, TWOTIMESTWENTYFEET” (2x20ft). A team of trained architects, structural engineers, engineers, and designers has advised customers from various industries in the implementation of unique projects for over 20 years. Many years of experience with sea containers makes TWOTIMESTWENTYFEET an excellent partner for projects of any size, either locally or abroad. Whether you need a garden shed or TÜV certified container architecture for an event or roadshow we always put together the right team to meet your needs. From consulting and material acquisition to construction, transport, assembly and disassembly, TWOTIMESTWENTYFEET provides everything you need for your project at one source. Custom paint, adhesive graphics and interior design can also be designed by our multidisciplinary team. We are, of course, open to joint ventures and can offer relative services during the phases of concept development, approval planning, manufacturing, property management or storage. Architects, designers, artists and pertinent agencies are very welcome as customers. Dipl.-Ing Peter Weber is your contact for any project. After studying in Hamburg (HfBK, University of Fine Arts) and Rome/Berlin (HdK, today UdK, University of the Arts), he graduated with a Masters Diploma in Architecture and Masters in Urban Planning in 1995. 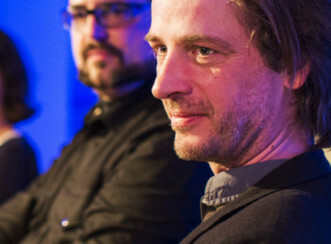 Since 1999, founder, CEO and head creative of Artdepartment Berlin GmbH. Peter Weber has been working in the field of production/stage design and film architecture for over 20(??) years, producing visuals and constructions for hundreds of film sets, music videos and commercials, many realized internationally. There has been an increased commitment to the field of architecture since 2006 . Notable projects from this time include the restoration of a number of old villas and the restoration and redesign of Loiersgracht 43 in Amsterdam, which today holds the headquarter of the famous Karl Lagerfeld fashion label. In 2009, Artdepartment became increasingly specialized in container architecture under the name TWOTIMESTWENTYFEET.